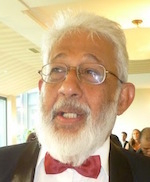 It is difficult to believe that the timing of a piece entitled “Disqualifying Twice Elected Presidents – A Failed Endeavour?” in the Colombo Telegraph of 19 August written by Dr Nihal Jayawickrama, was fortuitous. In the alternative one would be compelled to say that Nihal has miscued. I have known NJ from 30 years from Hong Kong days, respected his integrity and enjoyed his impish humour. So if I were compelled to, I would prefer to allow that he has goofed than made himself a tool of the Rajapaksa bandwagon. But the facts! The Eighteenth Amendment (18A) by which Mahinda Rajapaksa (MR) abolished term limits was greeted with revulsion, it split political parties, evoked mass campaigns and was a factor in his defeat in January 2015. NJ knows this as well as any ardent observer of the political scene. 19A was enacted with the express intention of preventing all presidents past, present and future from exceeding the two-term limit. NJ knows as well or better than any political animal that this was the public demand, what was promised and what every one of us took for granted till that fateful 20 August Monday. I reiterate that the timing and content of NJ’s intervention conveys the compelling impression that it is part of the campaign, now in full swing, by the Rajapaksa opposition to overturn term restrictions and allow MR to contest the presidency in 2020. I have no evidence to suggest Nihal is colluding with GL and his gang or conniving to benefit GL’s case in the Supreme Court but undoubtedly it is helpful for MR and GL. Is it not said that justice must not only be done, it must also be seen to be done? Likewise, the remit of ones interventions is the remit of what those interventions appear to convey. My reluctant conclusion is that my friend Nihal is a pawn in an obnoxious political game. The way NJ phrases his intervention not only says explicitly that MR can contest the presidency in 2020, but it also implies that if he wins, and wins again in 2025, only thereafter would he be ineligible, having been twice elected after 19A was enacted! NJ is no fool and he must realise this import of what he is saying. NJ knows that term limits for all presidents was what the people called for when they demanded repeal of 18A; he has by hook or by crook distanced himself from this. Let us for the space of this paragraph concede that the drafters of 19A goofed – I don’t think so, but grant it for a moment. Then the import of NJ’s intervention reeks of: “Hooray they mucked it up! MR can ride again!” (Mention of the Chandrika option is a red herring pure and simple). If that was not NJ’s intention he would have couched his piece entirely differently. His thrust would have been to protect the intent and purpose of 19A. He would have pleaded that inadequacies in wording, if any, notwithstanding the Court must hold with the sentiments of the people and the intentions of the assembly that enacted 19A. The latter is clear from the Hansard records which I trust will be placed before Court. Thankfully I am no accredited lawyer but not an idiot either; NJ’s legalist sophistry undermines the intent of 19A. If NJ is right that the drafters of 19A goofed, then lawyers are asses as there is not the slightest ambiguity about what the people wanted. Even worse, human rights lawyers who have spoken up against torture, the white-van culture and authoritarianism, if they switch sides and come out to open the batting for Rajapaksa’s team, need to explain the morality of their switch. The Opposition is opting for the ‘Mahinda as candidate’ tactic as a last resort. The first fling was to try out Gota, the barrage of criticism (“racist-fascist”) and negative evaluation (you can’t win against a 100% Tamil-Muslim block) put that strategy on the back-foot. Then a JO chucker went out pimping for Dinesh. That never took off, nor did the dead-left’s kite flying for Chaamal gain traction. The SLPP Opposition finally fell back on what had always been its trump, Mahinda. There is no gainsaying MR is the JO’s strongest (though still beatable) suit. The danger with this strategy is that if excessive expectation is created but the Supreme Court says “nope”, or if it says “come back if the Elections Commissioner throws you out”, then the psychological setback could be severe. The dice is on the roll. The question that many ask is “If NJ is playing along with MR, why is he doing it?” After all he is remembered as a critic of white-vans and assassins. I can only speculate till the maestro himself bowls his next over. There are two possible lines of speculation. He is, reasonably, fed up with Yahapalana’s failures and has decided, unreasonably, that reverting to MR is better. A mistake but I know others too who have shifted to reverse gear. This is political. The other is a personal feud due to the grossly unfair treatment meted out to Mrs B and Nihal by the JR government in which Ranil was a Minister who held his opportunist tongue. Ranil has compromised his moral integrity on more than one occasion so in the context of a failing administration perhaps NJ decided to change sides. Frankly this is all speculation, but speculation NJ has brought upon himself by the content and timing of his article. The crucial operative section of NJ’s missive, shortened here and there (why are lawyers so verbose, do they get paid by the word like copy editors?) is as follows. “A new Article was included by the 19th Amendment. That Article 31(2) reads: “No person who has been twice elected to the office of President by the People, shall be qualified thereafter to be elected”. To whom does the disqualification in Article 31(2) apply? On the one hand, it undoubtedly applies to anyone who has been twice elected (after) the 19th Amendment was enacted. On the other hand this is an entirely newprohibition on (others). Immediately prior to the 19th Amendment, the Constitution did not impose such disqualification, therefore, a person who had previously been twice elected by the repealed Article 30 (should) not (be) subject to such a disqualification”. A further point that NJ makes is that the powers and function of the president, when changes enacted by 19A are taken into cognisance, are different (far less) than they were prior to 19A. Under the much hated JR constitution the Executive Presidency was more powerful and odious than the post-19A. NJ’s point is that when 19A imposed term limits it did so only on this less obnoxious presidency that it created and this does not carry over to the odious pre-19A presidency which was a different animal. This is sophistry; the cry in the country was against the excessive, Bonapartist, near dictatorial powers of the JR crafted presidency and the public outcry was against 18A and abandoning term limits. NJ’s incredible story line amounts to: ‘The presidency is not as obnoxious as it was before 19A, so why not let any sod who has had two goes at the loathsome version have two more goes at the improved version’. Insane! Jayampathy has refuted NJ in the Observer“Mahinda Ineligible to Contest 2019 Prez Poll” in the Observerof 19 August and I guess lots more chaps in black cloaks will weigh in. I will not add to this legalistic cacophony because what is crucial is the will of the people and the intentions of the legislature at the time and in the processes of enacting 19A. But I must add that I have been present at forums prior to the enactment of 19A where drafters were pointedly challenged to reassure participants that the disqualification provision was retroactive. We were assured that this had been meticulously attended to. Let me make just two final points and sign off. Nothing that I have said here should be taken to mean that I advocate a Tom Mix style brashness in respect of the law. Of course one must not highjack the written word in cavalier fashion to suit some convenience of the moment. I foresee the criticism that I advocate denigration of the law as written, but such censure is false. Such a concern cannot arise in this instance as this is the first, and in all likelihood it will be the only time, that this aspect of 19A will be put to the test. Nor must this discussion be jumbled with concerns much debated in the US where judges are differentiated as traditionalist-conservative or liberal-modernist. The former hold that the constitution is a fixed document to be taken literally and the function of a judge is to ensure its proper usage in each specific instance. These judges promote conservative values and rarely challenge reactionary executives. Liberal justices on the other hand believe that the constitution is dynamic and open to advance and they value judicial progress. Nothing of this philosophical debate is even remotely relevant to this piece. 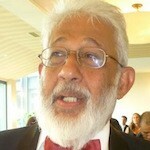 I agree with Kumar David that allowing Rajapaksa to become president again would be a terrible setback. We now enjoy to some extent our hard won freedom of expression. Sovereignty has been compromised by all our leaders starting with Bandaranaike and Senanayake in the 1930s, when they sold themselves to the British to prevent the estate Tamils getting the vote. The Supreme Court’s decision on the Citizenship Act (of White South African inspiration) in 1951 fatally compromised our system of justice. Despite Rajapaksa’s rhetoric of protecting the Island’s sovereignty, his heavy borrowing for White Elephant projects has made a mockery of what is left of sovereignty. The recent US action which pummelled the Turkish Lira, combined with the levity with which our Central Bank has been managed, should show where we really stand and who our real master is. To re-elect Rajapaksa is to go further down this road. Rajan you are a smart man and you know very well your so called “white elephant” projects will be profitable, infrastructure is built with a 50 year vision, not a 5 year vision. Moreover, the Chinese projects were for sovereignty of the island, it was time to escape from the bullying tactics of India and so MR and company went for multi polar allegiance and that by itself what ended the war. Do you mean to say that all that were built in Hanbantota ……… Conference Halls, Cricket Grounds, Theatres, highways …….. had a 50 year vision? Do you realize that with or without air-traffic Mattala runway alone will have to be re-laid several times in 50 years to maintain safety-standards? …… Why a fully fledged “international Airport” with no air-traffic …… and not a small airstrip that can be expanded later as per need? You just can’t bring yourself to say that Mahinda didn’t have a clue about these things? Can you? …………. So, in your mind, he is an economic genius, eh? Is it not possible that NJ has merely attempted to resolve a legal riddle as a legal scholar and that his opinion is independent of partisan bias. It may be an attempt to invite the apex court to determine the issue either on the strict interpretation of the letter of the law or on the intention of the legislature. The court in 2015 refused to grant relief to the three public interest litigants who wanted the bond deal probed. See where we ended up. The apex court in S L is a rigged court; it will be a folly to trust that lot. One of the omissions of the 19th amendment was that it did not impose term limits on the members of Parliament to bring in new blood for a change? I think that is a hasty title from Prof. Kumar. Even he is agreeing the body of the essay that it was not batting for Old King, but might be a simple goof. Dr. NJ may not be stepping into politics but willing only to remain as critic. If that is the case, then Prof. Kumar may not steal his freedom of speech. Prof. Kumar appears to be worried about the damage it may cause. This is what we opposed in his 2015 CC talks too. Because democracy cannot be high jacked, it can only be fixed allowing it to take its cause. We opposed placing a CC hoping to steal Tamils votes’ through Sampanthar was only pumping excessive ethylene to young vegetable hoping to get sweet fruit. Yahapalanaya ended as exactly that is what it is. Yahapalanaya is only a slave of the racist political propagandists. It has not a fruit came out of political maturity. Again, the only left out Tamil Left wants Ranil to be the next president, so he is blasting Dr. NJ as supporting Old King by lime lighting a Jayampathy’ s serious flaw. I could not agree with Dr. NJ on his way of reasoning. Democracy, Sovereignty, constitution, Country’s leader, Executive presidents… these are some ideas with common understanding of the world. There are connotations within dictionary meaning and beyond dictionary meaning. In that, there is no pint in arguing that Trump is only president but not New King or vice versa. In government service you may have Accountant I, Accountant II, Accountant II…. Even that is indicating only seniority; it may not bar an Accountant I directly graded to Accountant III without going to Accountant II. Just because there are authority differences, 19A refereeing the past presidents with same name of “president “cannot become invalid. But let’s assume now this was contested in Supreme Court and Dr. NJ side won. If that has happened today Yahapalanaya has one year to have find a solution. But if Old Royals has been having this strategy, but was secretly waiting for the election date declared and then take it to Supreme Court. That time, can Yahapalanaya, who would be remaining as interim government, do anything? I think now it is time to Prof. Kumar and Ranil to go for a brainstorming to find out a new solution for this. Most probably that might be the reason Dr. JN brought this out. 1. Easy one may be to Ranil give up his stand off of protecting Old King on all his crimes and allow CIDs to file at least one case and convict him. He convicted Ponny just because Ponny stood against him in election. Now Ponny is a minister in Ranil’s government. Then Why Ranil is showing this standoff of protecting old King? 2. JVP’s 20A. a). Even if Old King come as PM, he will be much less than the earlier Omnipotent President. He wouldn’t be able to turn all Modaya into women. b). The Slap Party may not come out as victorious as it came out in LG. They may not have candidates to sweep all MPs posts as they did in LG. 3. Fix the 19 A with 21A. Is that possible? May be! If Ranil wants he may be able to get the votes he needs. Didn’t Sirimavo get all the votes she needed to cut off from Britain? The Modayas in the Parliament didn’t wanted Western wheat, but moon rice. Then they voted for 18A for making a king. Then the same MPs voted for 19A hoping getting voucher for Land Rover. If Ranil give them a voucher for Swiss or New Zeeland vacation they all will vote for 21A too. This man Nihal Jayawickrema was associated with injecting politics into the judiciary during the regime of the Bandaranaikes. He then went into exile, posing as a human rights lawyer while atrocious things were happening in his own country some due to the erosion of the independence of the judiciary he had initiated. He is now back to his old tricks supporting the slimy GL Piers in his view that Rajapakse can contest again. At lease in old age, why cannot decency and good sense come back to such men? I always say that the Law Enforcement including the Judiciary, apart from “Interpretation” of the wordings or “editing” a “Dictionary” meaning , has an “obligatory” duty and a “responsibility” to examine the SOCIAL INTENTIONS that which a Legislation has been established. So, wasn’t it that the PEOPLE wanted that “DRACONIAN” 18th Amendment be DON AWAY with and GO far beyond to RESTRICT the same person been given the opportunity to TASTE the plums of this position more than twice? If all, including the Judiciary BELIEVE and RESPECT the credibility of “JANATHAWAGE PARAMADIPATHIYA” – PEOPLES’ SOVEREIGNTY , all these attempts to circumvent and usurp that authority of the PEOPLE by a PERSON or a GROUP of disgruntled elements who perform “LIMBO” in the political arena (openly or behind the scenes) must be THROTTLED once and for all. If MR contesting or not unp has to under stand some basic things. Unp vote base is very small and only 23% nationally as a party and their alliance parties likes musilm congress digambaram helaurumaya ,rishard ,mano and Fonseka can add 8% for their vote base.in slfps case they have a 46% vote base as a single party in 2015 presidential election. From that 5.8 million. Votes at least 5.6 million are the slfp votes of Mahinda. The real truth the parties like wimal,gammanpila vasu and dinesh altogether unable to get maximum of 200000 votes island wide. So the slfp vote base is 200% bigger than unp vote base.unp had this problem since 1994. Chandrikas slfp had 42% vote base while unp had 26% . that is why chandrika won all the election. After 2005 the slfp vote base increased in to 46% while unp vote base came in to 23%. If unp want to compete with slfp of majinda atleast 1 million. Floating voters has to cast their votes to unp and at least 1.1 million slfp votes of Mahinda avoid from voting and all the minority parties have to support unp except TNA and JVP.in a case if 100% vote base of Mahinda cast their vote the compulsory condition for unp is they need a support of JVP ,TNA ,and maithree.after 2005,the entire high ranking business class and the 80% of middle class and upper middle class are the block votes of slfp of Mahinda.so it is very hard to face the slfp of Mahinda. Because this business class and rich middle class who are the block votes of Mahinda have money ,power,media and mechanism. Everybody must be equal before law. 78 constitution made the president above law; against that concept. Everybody, as a citizen has a right to rise to the presidency (highest position). The same constitution (78) bans that right to those twice held the presidency. This is the problem we have to solve; so bring president under the law & let him contest for presidency as much as he/she wants. Prosecuting MR is a different matter but pave the way for him (as well as others) to contest again & respect his citizenship in the country. Congratulations Kumar David. You have unmasked Nihal Jayawickrema. Kumar David, who in 2008 said the war was unwinnable that we should merge with India is shaking in his boots, losing sleep over the fact that 19a had been goofed and MR might ride the wave again. If David is scared of MR coming back he could perhaps relax that if NJ is correct and MR contests GR will not become the president. I am sure David is more Gotaphobic than Mahiphobic. Blaming the messenger, that is blaming NJ, is not going to help. NJ’s explanation is the best I have seen so far without assumptions, of course Jayampathy is trying to save his own tail which seems to be on fire with this latest twist of the course. As Hela says 19th had nothing do with people’s will. And intention? My foot! The intention was to push through a constitution while the members of the previous Parliament were shaking in their boots whether they will get the nominations or not, and so they were implicitly threatened to vote for a 19th, to ram the 19th fast as possible down the throats of the people’s reps the drafters hashed up an amendment that was faulty. The drafters were not competent enough of there was someone inside who played a really cruel joke on the Yhapalanaya. The intent of 19A is obvious. Amendments often have loopholes which are fixable. Is the 19A loophole (if any) big enough to let an above average sized Lankan to walk through? Indications point to 19A is a red herring used as bait to smokescreen the CoI revelations on the parlous state of SriLankan Airlines. Lankans wonder as to whether the incompetency is natural or ordered. Are we being made to bark up the wrong tree? The intent of A13 was clear too. The difference between what is desired and what materializes comprises realpolitik. The tree is right, but the wrong people are barking up the tree. Are our legislators serious about anything but making it good for themselves. I am no expert in Law or the Constitution. I am a simple Citizen like the majority in the country. When the time comes I like all other Voters will elect the President. The choice is with the Voter. If he/she contesting is good then will be elected, if bad then will be rejected. So why have a limitation on the number of terms. Continuity is almost important – a lesson from China. Ah, the cry WAS, but now it is different, you could argue. What matters is not what it was, but what the public want now. That is people’s sovereignty. A plausible argument; the sort that destroyed Athenian democracy in the 5th Century B.C. Constitutions are necessary because the people can be hoodwinked in the short term. It is true, the people are asses who cannot decide; if otherwise, would thy have ever elected the “225 rogues”now in Parliament? I exaggerate; there could well be 25 honest M.Ps. The people will be for almost anything if the “right noises are made, in the right way, by the right people.” Come up with some racist slogans, say that there is going to be “Federalism” (no need to go as far as Eelam), and the majority of Sinhalese will vote for any ridiculous thing. However, I think that one thing is very clear. Opposition has clearly and steadily built up against the Executive Presidency. The collective will of the people may be erratic, but it is decent. Right now the Rajapaksas have over-whelming support among the people; they will probably win. But let Mahinda not contest again. Our people have become “great emigrants”. Some of the countries that they want to emigrate to have Executive Presidents – all with restricted terms. Can you name one country that they wish to migrate to that has termless Presidencies. The task I’ve set you is not an impossible one, I’m sure. Singapore? 1. from the manner this government is failing the people of this country, JO can field a cross dressing water buffalo and still win the election. the evidence for this can be found in the results of the local government election. Nobody cared about who was representing JO. Only thing people cared was who mahinda supported. I mean look at beruwala and nugegoda. Two random independent parties won the election just because mahinda backed them. So lets not bother too much about the lack of options for the JO. Pretty much anyone there can win an election as long as mihinda endorses them. 2. I’m not a legal expert in anyway so i can’t really comment about nuances of Nimal’s arguments, but to a lay person they look solid and clean cut. the responses i’ve read so far have all been tortuous and ambiguous. I guess we will really need to look at the hansard to understand the spirit of 19A. We should know so-called LSSP flag holders in politically enemy of Democracy Nation Sovereignty and Territorial Integrity of Sri Lankan .There are for Tamil Eealm for Tamils living through out World which is including Tamil Nadu -Tamils. This not Liberation struggle Tamils project is more or less partition of Island for New Rough Tamil regime in North-eastern part of Island. Absolutely fabulous if Mahinda can come back. Why? CHINA is an emerging superpower and it’s important to form alliances with them. American dominance is built on the three pillars: petrodollar, debt, and military might. But because they outsourced their manufacturing overseas, they are a NET borrower and with a national debt of $21 trillion USD, the process may be impossible to reverse. China on the other hand is a NET saver. Trump understands all of this very well, that is why you see $50 billion worth of tariffs (taxes) on China. What Sri Lankans should understand is that aligning with the US at this point is not essential. Secondly, Mahinda is very popular. For the minorities who want some kind of fair political solution/recompense, MR is the best bet. For those who want Eelam/Caliphate, then he might not be the best choice. Those who allege corruption have a reasonable argument. However, it was not MR, but his associates that were corrupt. Finally, it is clear that a Maithri/Ranil type government cannot accomplish anything substantial. The people gave this group a fair chance, now it is time for someone else. Kumar, can you remember you, Nihal, late Tazie (Vittachchi), late Lenin Mores and I sipped white wine at Hong Kong airport lounge way back in 1979 waiting for a Cathy Pacific flight to Sri Lanka? I was so drunk one of you (don’t know which one) carried me to the plane. I’m for an amendment, 18th or 19th, if it will allow me to carry a lady (Doctor or otherwise), drunk or sober, on to any plane. Dr Dilini, nice to hear from you. In 1979 you were at Durdans? I never knew you belong to a nice whysky club. I’m sure Madam Chndrika who loves a scotch is an ardent member of your club; as both of you seem same age, or you are slightly older? Shiromani Manage: Read. Slowly, please. She says they were drinking white wine. Not whisky. If you are careful with detail, we can have an intelligent conversation about Sri Lankan politics. Otherwise, we will end up killing a lot of people, as we did in 1971, 1989 and the 30 years of Tamil war. OK?